Hydraulic hose fittings come in all shapes and sizes. 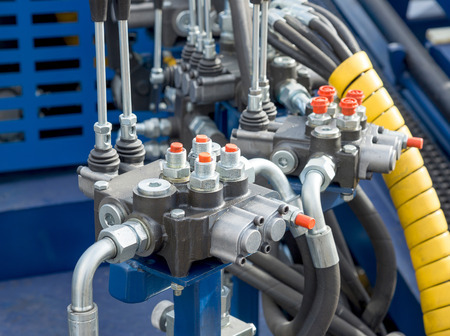 Regardless of the type of hydraulic system you’re using, finding the right type of replacement hose fitting or threat can be a real challenge, since most components look pretty much the same. If you’re not used to replacing them on a regular basis, and you have a lot of other problems on your mind most of the time, it can be very difficult to determine exactly what the right type of hose fitting might be. The real problem arises when you actually end up buying a hose fitting that fits, or “almost” fits, but that is the wrong type. The results can be disastrous, and those who have made this mistake in the past know what I’m talking about. Because there are so many different types of industrial machines and equipment developed all around the world, the specific machinery you’re using might be entirely unique. This would definitely not be a surprise, however, the types of threads that your industrial machines are using could be hard to pinpoint because of this fact. Industrial threads come in all sizes, but there are six distinct types that you can entertain buying: UN/UNF, parallel and tapered BSP, parallel and tapered metric and NPT/NPTF. To determine which one you need, you have to first find out whether you require a tapered or a parallel thread. UN/UNF are parallel threads, while all NPT/NPTF threads are tapered. In some cases, however, visual inspection will be required if you can’t determine exactly which type your old thread is. The pitch and size of your threads will also be extremely important in order to avoid a bad fit. Compare threads against a bright background, and use a pitch gage to find out whether the pitch matches. As for determining the size, you have to consider the type of thread you have and whether or not you’re dealing with a pipe thread (NPT/NPTF, BSPT or BSPP). When it comes to hydraulic hose fittings, there are truly a wide range of different designs, materials and sealing varieties you can consider. The O-ring face seal is one of the best examples for the latter, being designed for high pressure applications, while stainless steel and brass fittings are good examples for two of the most popular types of materials used today. International and metric fitting adapters, as well as unique, tight-seal FLARE-O fittings are among the most popular hose fitting solutions you can find on the market. These are sought out by most companies using hydraulic hoses. Finally, when it comes to choosing between brass and steel fittings, it’s important to know the main pros and cons regarding the use of each material in part. Brass fittings are usually designed according to strict quality standards, and they are used in automotive and instrumentation applications. Stainless steel hose fittings are usually designed for enhanced resistance to corrosion. These components are most commonly utilized when dealing with applications involving salt water and food processing.